Online gift certificates are available. It is quick, easy and secure. Swedish Massage - Uses tried and true techniques to detoxify the body while providing an unparalleled state of relaxation. Deep Tissue Massage - Targets specific areas of the body in order to release knots and tight muscles. Neuromuscular Therapy - a comprehensive program of soft tissue manipulation that balances the body's central nervous system with the musculoskelatal system. Based on neurological laws that explain how the central nervous system initiates and maintains pain, the goal is to relieve the pain and dysfunction by alleviating the underlying cause. NMT emphasizes the role of the brain, spine, and nerves in muscular pain. It uses advanced concepts in pressure therapy to break the stress-tension-pain cycle. It aims to relax muscle and release compressed nerves so that circulation can increase and the body will return to normal neuromuscular integrity and balance. Used to treat acute and chronic pain or medical conditions. Trigger Point Therapy - Trigger points are areas within soft tissue that are characterized by tenderness and/or pain, tingling, numbness, burning or itching. Using compression of individual areas, trigger point therapy clears the trigger point by repeatedly flushing the blood and accumulated toxins out of the muscle, fostering conditions for healing. Myofascial Release - Myofascial Release is a safe and very effective hands-on technique that involves applying gentle sustained pressure into the Myofascial connective tissue restrictions to eliminate pain and restore motion. There are many types of Myofascial Release (MFR) – one type of MFR is known as John Barnes’ MFR. This type of MFR is views the body as a whole that is entirely connected via a fascial system. Patient’s often comment that they feel something changing in a part of their body that is not close to the therapist’s hands contacting them – illustrating how the fascial system in one area of the body can be the origin of dysfunction in a different part of the body. CranioSacral - This therapy is a gentle hands-on technique that releases tensions deep in the body to relieve pain and dysfunction while improving whole-body health and performance by releasing restrictions in the soft tissue that surrounds the central nervous system (brain and spinal cord). 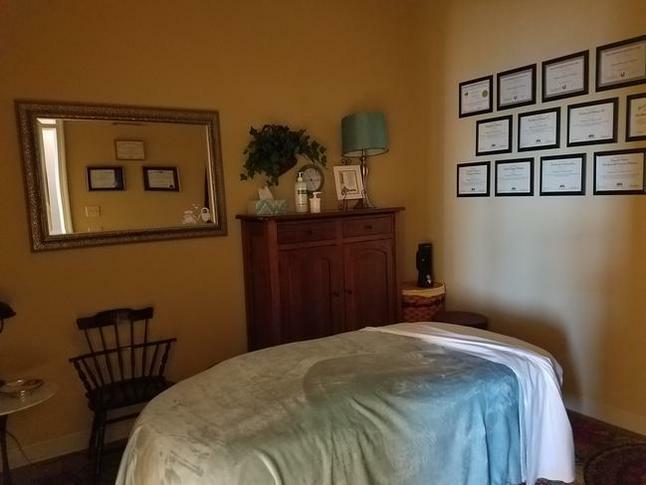 Craniosacral therapy is a specialty that should be considered when other more traditional kinds of treatment have yielded minimal improvement or improvement that is very temporary. Craniosacral therapy is one of the few modalities that has been effective with some brain injuries including PTSD. Lymphatic Drainage - A therapeutic technique that stimulates the lymphatic system to remove excess lymph and inflammation from the body. AromaTouch Massage- a relaxation massage that includes applying doTerra therapeutic grade essential oils topically to produce a profound whole-body wellness experience. The many benefits of the AromaTouch technique include stress management, immune support, reduction of inflammation, and homeostasis balancing of the body. Visceral Manipulation - This therapy should be considered when traditional therapies have provided minimal or only temporary improvement. Traditional treatments are very effective for treating problems that are primarily muscular in nature. If a physical ailment seems muscular but don’t respond to muscular focused treatments - what do you do? You need to address a non-muscular system in the body. Abdominal organs have fascial ligaments and capsules just like skeletal joints have fascial ligaments and capsules. Tight ligaments in your ankle may affect the way your hip function 30 inches away. Similarly, tight abdominal ligaments may affect neck or shoulder function 12 inches away. Visceral manipulation is sort of like trigger point therapy or myofascial release that specifically targets the ligaments and capsule of the abdominal organs. Chair Yoga - Chair Yoga has 3 components: Flexibility, Self Massage and Meditation. The use of a chair makes it more accessible for those people having problems being on the floor or those having balance issues when standing. A small class size will facilitate the ability for each person to get specialized attention throughout the class. 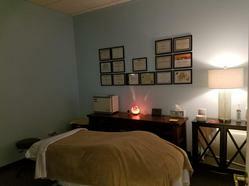 We will customize your session to combine treatments to meet your wellness needs.